Chelsea has been climbing for over half her life. 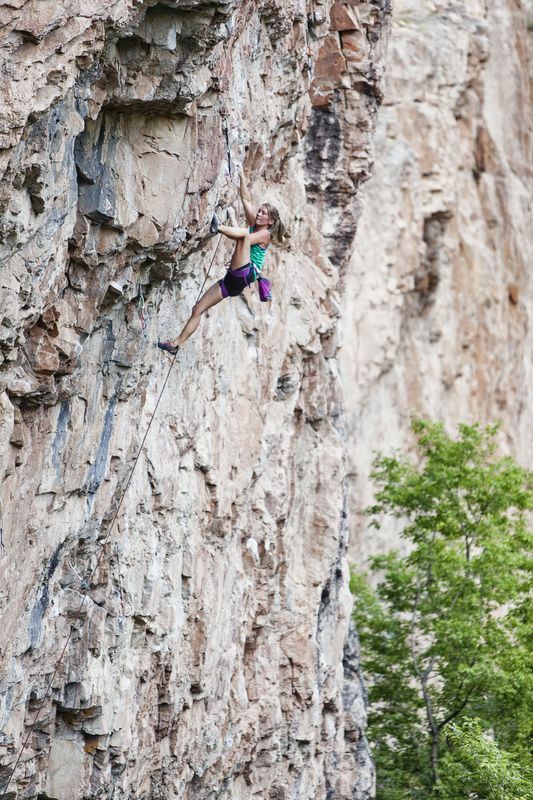 She started climbing at the age of 11 alongside her father, who thought it would be a fun thing to try one afternoon. 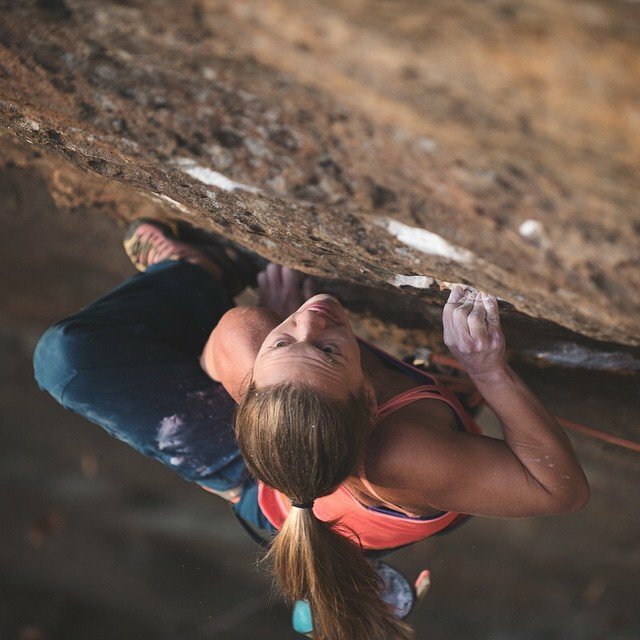 She fell in the love with the sport immediately and after only a month of climbing, she started competing. 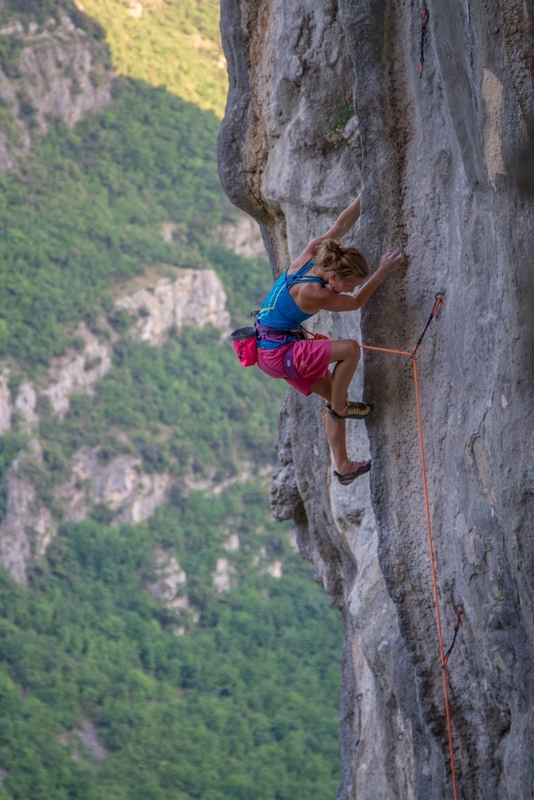 Competing was her main focus for quite sometime, but she decided that the memories she made while climbing outside meant more to her than those during competitions. 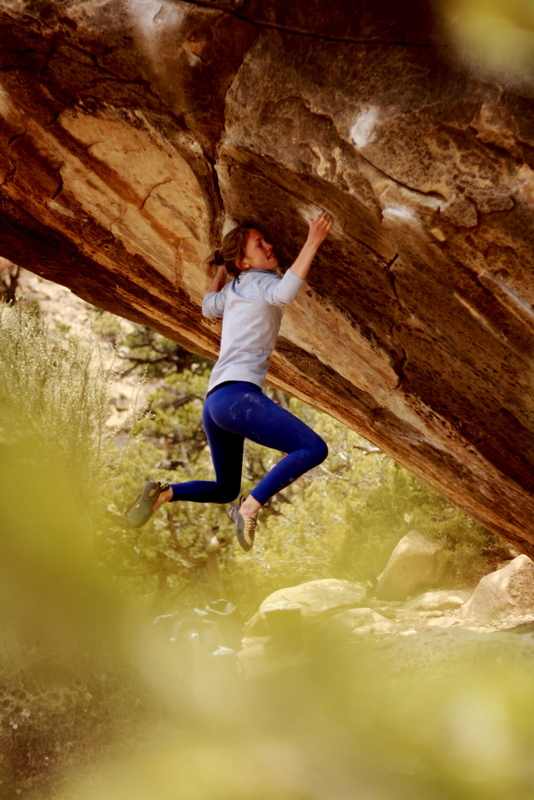 So Chelsea decided to leave competitive climbing on the sidelines and push her limits outdoors. 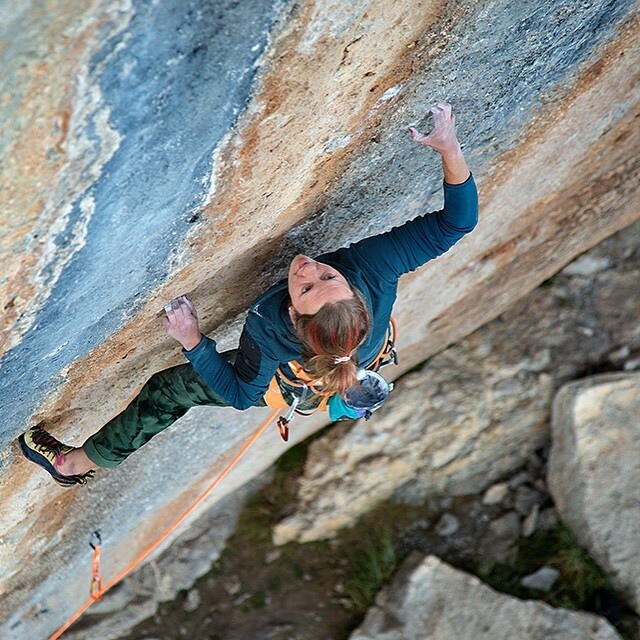 After having onsighted a handful of 5.13c routes, she decided to try to expand her red-pointing levels to 5.14b or 5.14c. 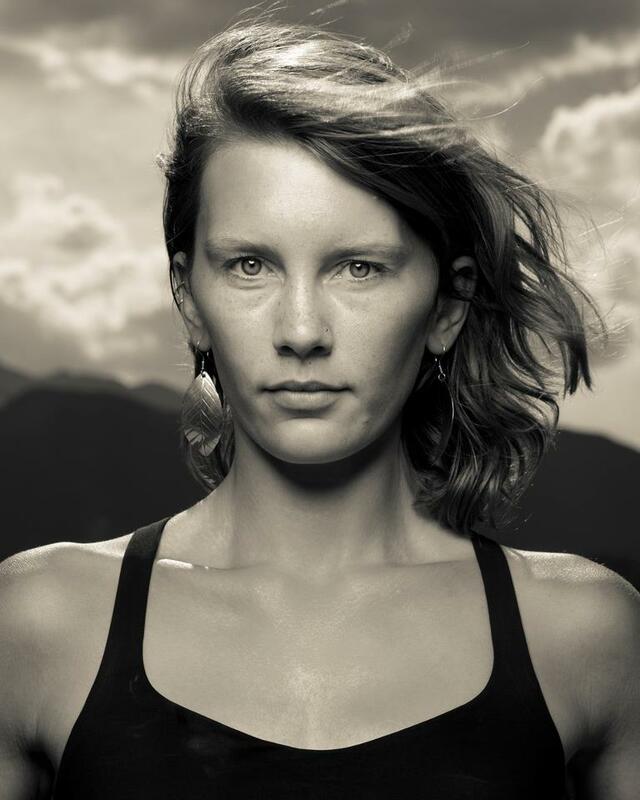 After a year of dedicating herself to climbing outside (while taking classes to satisfy pre-requisites for graduate school) she is still pursuing her dreams of climbing harder outdoors. 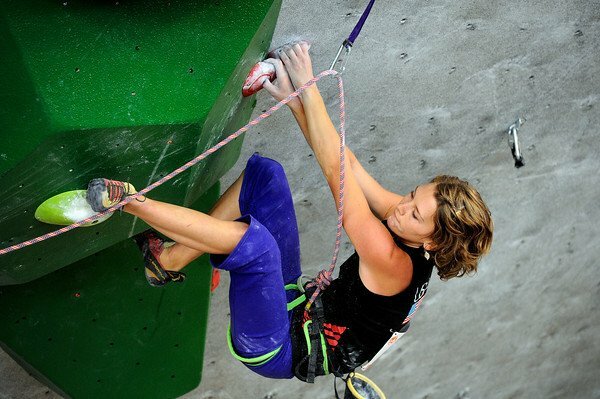 I used to want to win titles of major competitions in climbing. But that focus has now shifted towards wanting more adventure in my climbing. Now I want to do things that no other person or female has done before. I want something that will challenge me physically and mentally and force me to learn new skills. Something that is on my radar is climbing in the Ruth Gorge in Alaska with an Adidas Outdoor teammate of mine, Libby Sauter. A female team has not done the climb that we have in mind before and it’s something that is out of what I would consider my typical element. 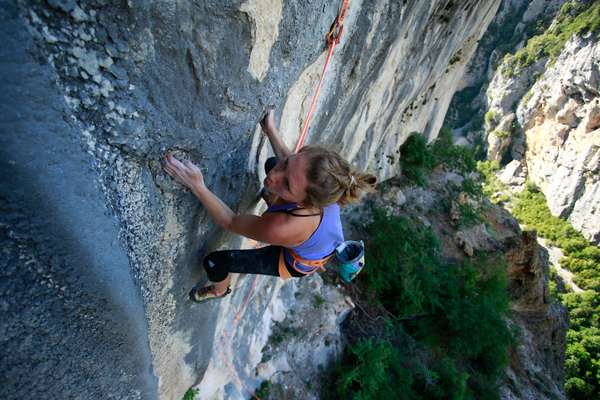 As with any sport, climbing takes dedication and commitment. It also takes physical power and finesse as well as mental balance, strength and will power. I feel most satisfied in climbing when I am outside pushing my limits. Obviously I really enjoy those days where I complete my project – but once you begin to push open your boundaries those ‘successful’ chain clipping days become sparse. So honestly I feel content and happy with myself when I am pushing myself to reach the next level and am able stop to pay attention to the subtle points that each attempt has to teach me. I really enjoy solo training sessions once in a while at the climbing gym. It gives me the opportunity to listen to myself more and fuel my stoke from within. I also really enjoy trail running and hiking in the mountains and it is in those moments that I’m able to process all of my training and figure out my next moves. I am not naturally a powerful person, so I’d have to say that training power has helped me the most in a physical sense. I’ve also had a few really great mental coaches that have helped me develop the confidence I currently have. And I have an awesome boyfriend who is nothing but supportive and that also helps me push myself to do things that I may not have previously tried to do. I stopped competing a year ago – but when I was competing I suppose I was most nervous about slipping off prematurely and not being able to test my strengths from all my training. Hmmmm. I’d have to say girls/women because I try to be a good role model for that population. A lot of girls have low self-esteem, might be really shy, and afraid to ‘go all in,’ and I try to show them (through my life) that the only failure in life would be to NOT TRY. And that it is those moments that we try, fail, stand up and try again that we grow into a better version of ourselves. To follow my dreams – this is the one life I’ve been given and it would be a waste if I spent it doing things that didn’t make me happy. I’ve always wanted to work in the medical field so that I could help people. So in April I will begin applying to Physician Assistant programs around the U.S.
Before that though I plan on saving some money, putting my stuff in storage, and hitting the road with my boyfriend to climb and continue to push my limits prior to graduate school. Don’t just climb in the gym. Learn how to go outside (safely) so you can experience the beautiful places that climbing will take you!